The goal of our free monthly currency exchange reports is to provide deep insights into the political and economic events around the world that can cause foreign exchange to change and to fluctuate, which can affect your business. CurrencyTransfer.com’s free monthly foreign currency reports provide deep insights and analyses of the global, political, and economic events that can cause foreign exchange volatility. The reports give a comprehensive explanation on how the foreign currency fluctuation impacts your fx business. 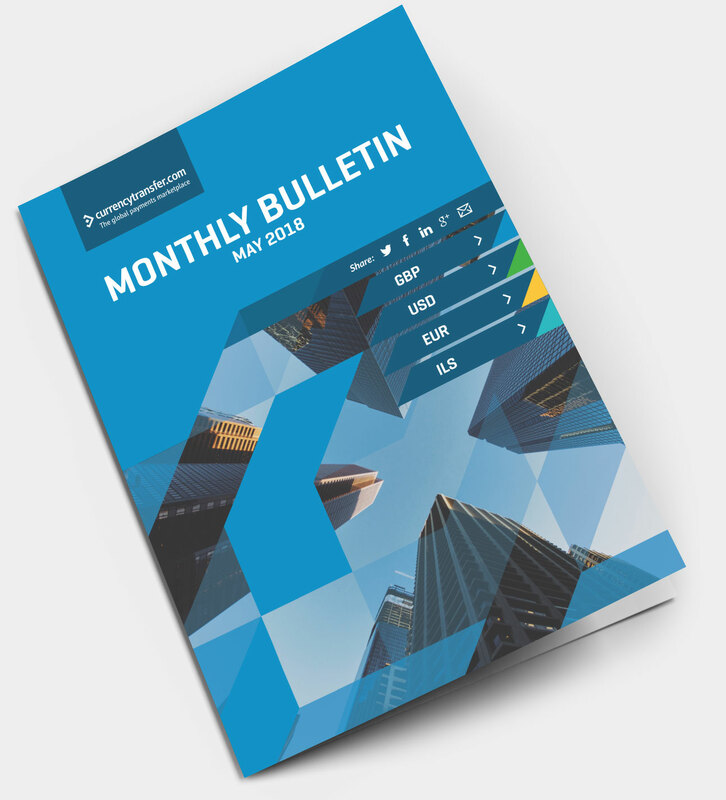 We welcome you to download our free monthly currency bulletin and to keep up to date with key events throughout the month. The free monthly currency reports analyse historical charts and provide the basis for discussion with stakeholders across your fx business. The monthly currency report provides a useful resource and meaningful insights for currency risk management policies. Be smart with your corporate foreign exchange! For insights into the foreign currency fluctuations, check out our Euro monthly review, US Dollar report, Israeli Shekel report, and GBP monthly review. Very few organisations in the world provide customer service of this standard. These guys are prompt to follow up and incredibly helpful on all aspects of the transfers and just deliver fantastic service – they once spent around an hour on the phone to us explaining how currency hedging worked! This is simply the best. For years, I have explored many ways transferring money overseas and have used other similar services, but I can now say that CurrencyTransfer.com IS THE BEST!